This product was received as part of a PR sample but you already know that I love Makeup Revolution. All opinions are always my own. 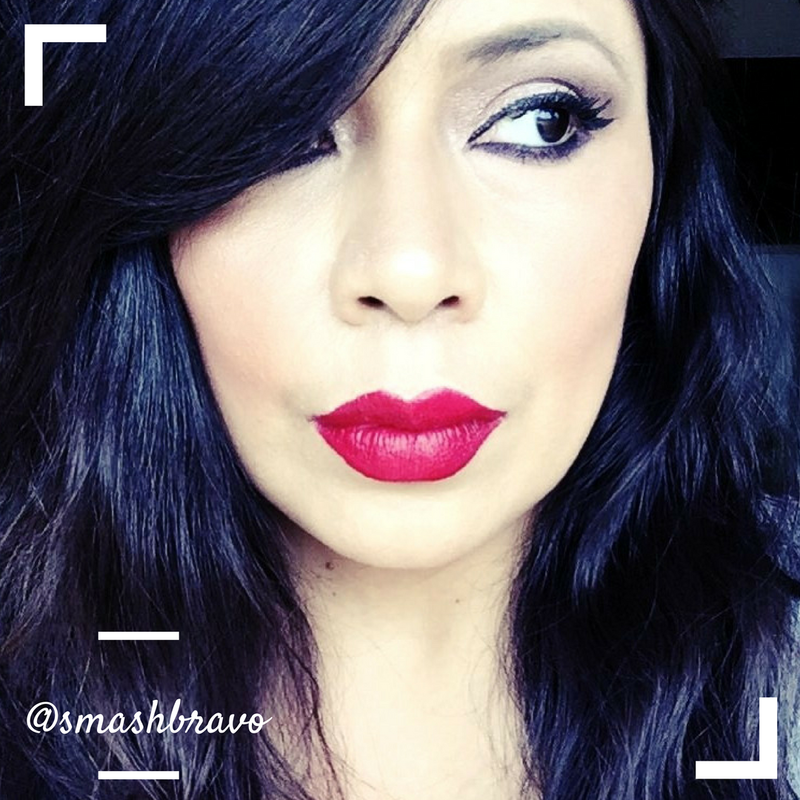 If you follow me in any of my social media channels you will know that I am a huge fan of the Makeup Revolution brand. 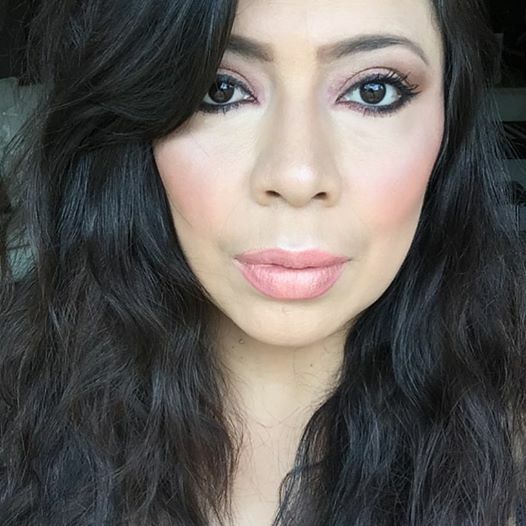 When they first arrived in Ulta stores last year I immediately placed an order and have been consistently trying out their products since then. Recently it's been super exciting to see a lot more new products reach Ulta, but there's so many awesome new products that it can be hard to decide where to begin. Today I want to share with you guys one of their products that I think is an absolute must-have, especially with summer on the horizon. Meet the Makeup Revolution USA Vivid Shimmer Brick, which by now you have seen countless of times on my social media channels. The Makeup Revolution USA Vivid Shimmer Brick comes in two shades, Rose Gold and Radiant, I have the Radiant shade to share with you today and will most definitely be picking up the Rose Gold on my next trip to Ulta. The price of the Shimmer Brick will knock your socks off, especially when you compare it to all of the high-end highlights that are currently super popular. 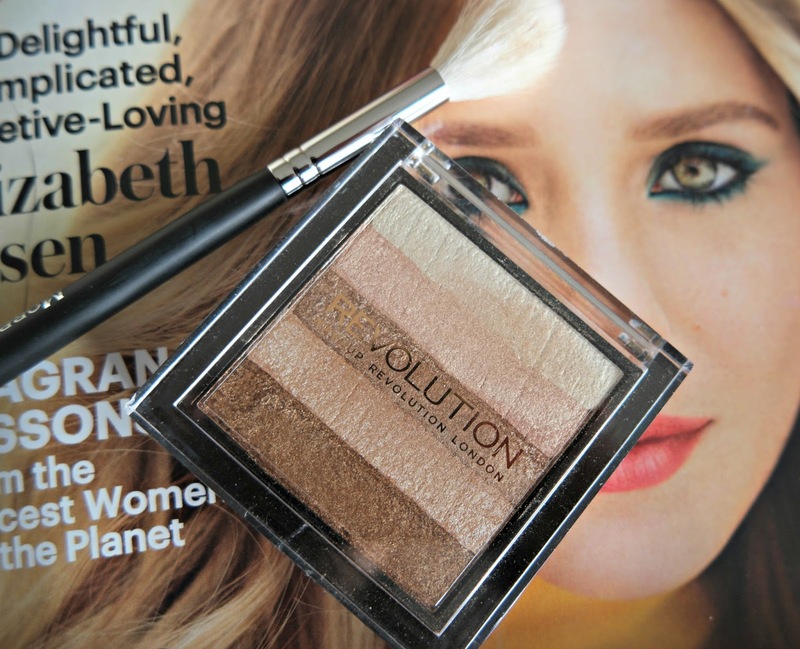 The Makeup Revolution USA Vivid Shimmer Brick is only $7 and it is one of the most beautiful highlights that I have ever tried. Just look at how beautiful the shimmer strips are and try to imagine swirling them altogether and placing at the top of your cheekbones, the tip of your nose and anywhere else that you want to have a beautiful sun-kissed glow. 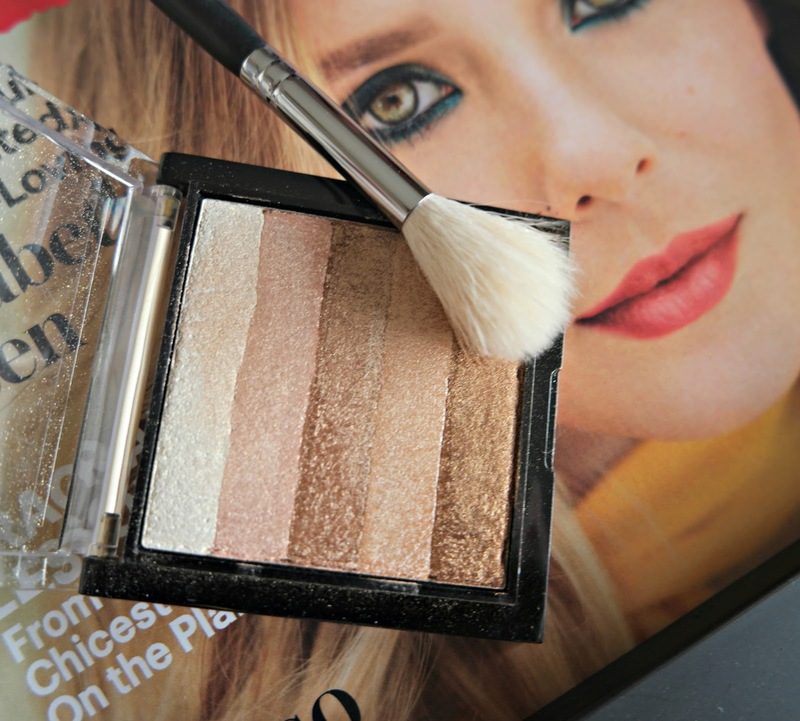 Yes, boys and girls, the Makeup Revolution USA Vivid Shimmer Brick in Radiant is as magical as it sounds. What I really like about this highlight is that there are five different strips and you can swirl all of them together to create one shade of magical radiance or you can use each strip on its own. On my Snapchat I have shared swatches of the strips by themselves and all of them together and I also have a picture below showing just how beautiful this product looks on the skin. And I think that you will also find that the bronzy shade makes for the most beautiful eyeshadow, and you can use the lighter strips as an inner corner highlight. Summer is almost here or we are all looking for that beautiful sun-kissed glow, without the sun. And this one is so easy on the pocketbook that you can easily grab both of the shades and be prepared for those summer days. Not that I'm going to use this only in the summer because I've been using it every time I put my makeup on, it just adds such a healthy glow to my skin and the product is so softly milled that it doesn't show off my skin imperfections as much as some chunkier highlights do. My skin is pretty dry so I can use as much healthy glow as possible, and look at that cupid's bow. 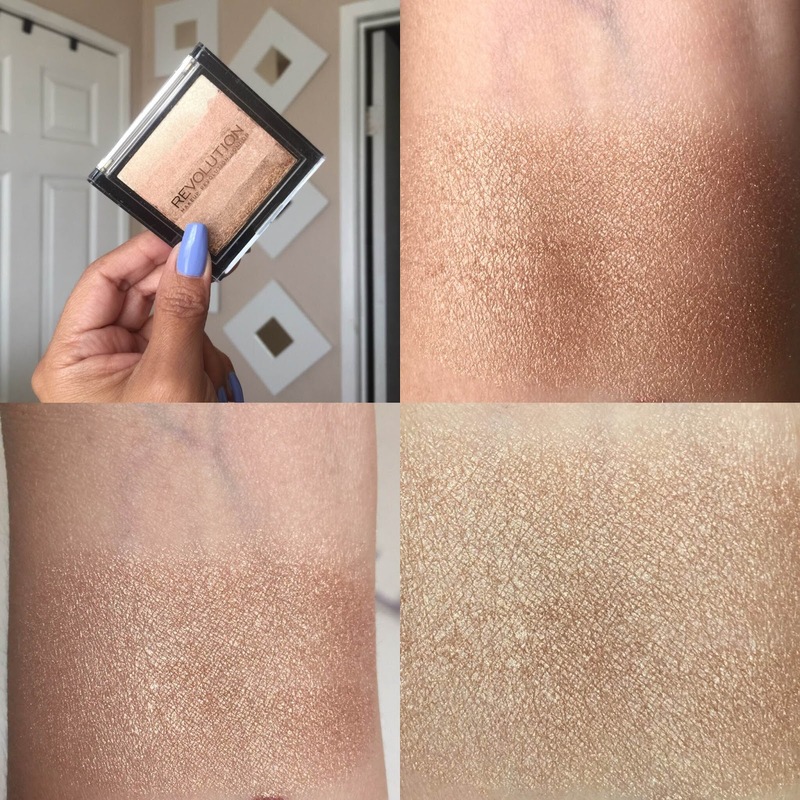 Swatches of the Makeup Revolution USA Vivid Shimmer Brick Radiant in different lighting. Find the Makeup Revolution USA Vivid Shimmer Brick Radiant at Ulta, and watch for a BOGO 50% sale, which they are currently having. That's a really good way to try more of Makeup Revolution's already super affordable products. I already had one favorite Makeup Revolution highlight (Makeup Revolution Vivid Baked Highlighter) and now I have another! Look for a few more reviews from Makeup Revolution in the coming weeks, I have so many goodies that you will love!